James Mudge of the Chinese Visual Festival has kindly shared his Beyond Hollywood report on the 10th China Independent Film Festival, held in Nanjing at the end of 2013. His original report can be found here. The China Independent Film Festival (CIFF), which recently held its 10th edition, is more than a festival, for two very important reasons. Firstly, the very fact that it was able to operate this year is a triumph in itself, having been shut down by the authorities last year at the last moment. 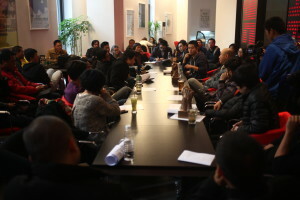 Though it’s not an event which goes out of its way to court controversy or make political statements, many of the films screened have not received official approval from the Film Bureau of the State Administration for Radio, Film and Television (SARFT), and many deal with topics which might not be considered suitable, including crime, bullying and social disorder. Perhaps as a result, despite the festival attracting some very impressive guest directors, in terms of publicity it’s a low-key affair, not widely advertised, even on the campus of Nanjing University of the Arts, where a flagship three day session was held – other events were also held in Dalian and Xiamen. 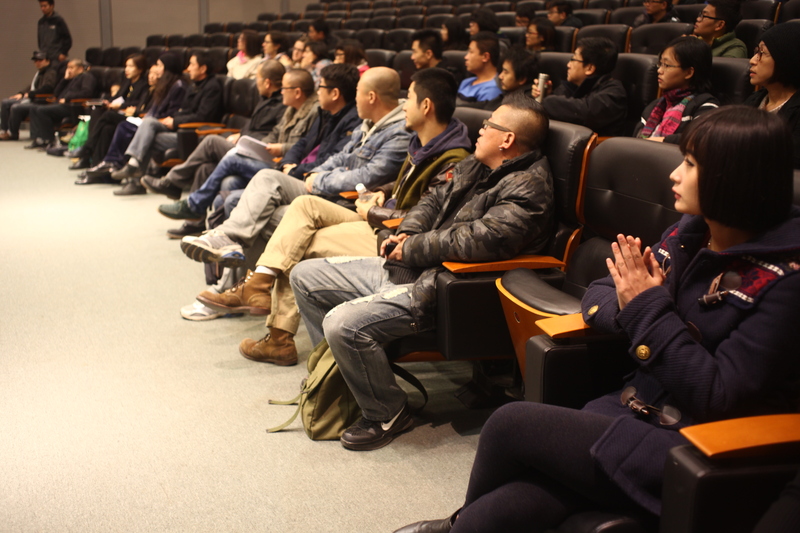 Despite this, it was great to see the screenings in Nanjing being very well attended, most sessions pulling in more than fifty audience members, and many closer to a hundred. As such, the very fact of its continued existence and popularity in the face of such troubles, not to mention the difficulty of funding or finding sponsors for such a festival in China represents effort and passion that’s praiseworthy indeed. 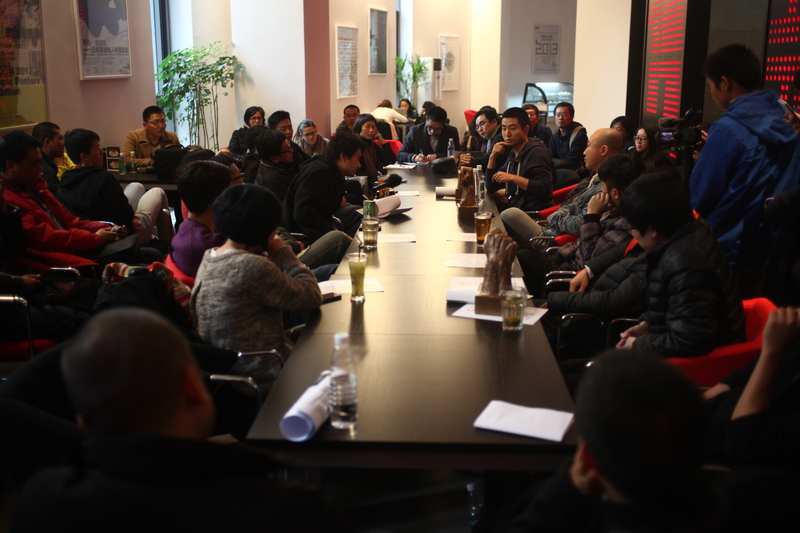 Secondly, CIFF offers a fascinating snapshot of the development of independent film making in China. ‘Independent’ is a word with many meanings, especially in a cinematic context, and while the indie scene is undoubtedly growing and maturing in China, it’s running into complications and difficulties. Although Chinese indie films are enjoying an increasingly healthy presence and haul of awards at overseas festivals, these tend to be limited to a certain number of already established directors, who have previously received some manner of official recognition back home. For first time or upcoming directors, and those who have not submitted their films to SARFT, it’s considerably more difficult, as sending their unapproved works to foreign festivals can result in serious repercussions, or even bans. 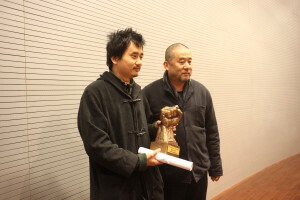 As a result, there’s a challenge to define what truly counts as ‘independent’ in Chinese cinema, and even more of a challenge for directors who try to work outside the system – funding, producing, releasing and screening films off the grid being no mean feat, directors often having to self-finance and commit to great personal sacrifice. In this context, it was particularly pleasing to see such a variety of different types of films at CIFF this year, with a fascinating selection being screened at the Nanjing event. 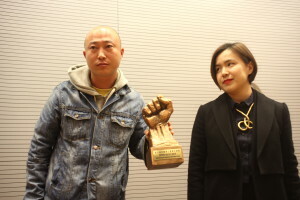 The festival has an aim of advocating creative freedom, artistic exploration and social responsibility, and it lived up to this by screening films that dealt not only with socially minded topics, but also with love, relationships and the changing of traditions in China. The ‘independent’ banner covered a range of genres and techniques, from comedy to thriller, through to more art house works, and from commercially minded productions to the experimental, several films pushing what audiences might traditionally understand by the notion of film, as opposed to art. With films screened not only from the Mainland, but also from Hong Kong and Taiwan, the festival gave an overall impression of Chinese language speaking societies being in a state of flux, modernity and its shockwaves ringing in the changes both loudly and quietly, expressed by the directors in numerous ways. Sadly, I wasn’t able to catch all of the screenings, though what follows is a recap of the films and shorts I was fortunate enough to see. Taiwanese writer director Ming Lang Chen’s “Tomorrow Comes Today” is a cross cultural affair, following a young guy called Dah-Yi from Taiwan, working as a Chinese food delivery man in New York while searching for his mother, brandishing a picture of Marlene Dietrich at everyone he meets. Meanwhile, the film also follows his neighbour Wayne, recently dumped by his girlfriend and trying to forget her by listening to tapes on how to erase memories during his nightly work cleaning phone booths. It’s very much in line with what many would expect from an indie film in the western or US sense, with a meandering plot, lots of symbolism – some clever, some clumsy – and plenty of whimsical touches as its two narrative strands crisscross. Though it doesn’t always work, in general the film is quite charming, and Ming Lang Chen does manage to effectively make some interesting observations on the ways in which the east and west meet, diverge and balance. Through anecdotal details the film depicts connections and near-misses between strangers, their lives often mirroring each other while often remaining out of reach, and this similarly works well as a gentle cultural commentary that doesn’t come packaged with easy answers. Some gorgeous cinematography also helps make the film very watchable, capturing the look and feel of New York through some atmospheric and grounded camera work. “Fig” is the latest offering from Hong Kong indie film maker Vincent Chui, and stands out somewhat from the rest of the CIFF program in that it’s arguably less of an independent production as such, having obviously enjoyed a fairly healthy budget, and boasting a script by Liu Siu Wah, who won the Hong Kong Film Festival Screenplay Award in 2009 for her work on Ann Hui on “The Way We Are”. The story revolves around a Hong Kong housewife called Ka, who leaves her stable though unhappy marriage after tragedy strikes her family, packing her suitcase and heading for Macau, where she takes a job working in a small laundrette. There, she strikes up a friendship with the younger Man, who is going through a crisis in her own life, falling out with her father for his moving on with his younger lover after the death of her mother. The two form an instant bond, which gradually develops into something more, with repercussions for both them and their families. Though not terribly ambitious, and having a fairly familiar feel, “Fig” is nevertheless entertaining and thoughtful, Vincent Chui and Liu Siu Wah successfully portraying the complexities of modern relationships, families and connections. While some of its symbolism, including laundry as a way of washing away the past and flower pot changing as means of growth, is a little obvious, the film does have a few things to say, which it does in an amiable fashion. It’s a warm and humanistic work, and the viewer gets pulled into the story and the characters’ lives without too much fuss or manipulation as it builds towards an emotionally rewarding conclusion. Strong performances from the two female leads give the material a boost, and some beautiful visuals also help to distract from the film’s shortcomings. Mainland film maker and former documentarian Jin Ye makes his feature debut with “Today My Mother will Get Married”, a gritty look at the cruelty enacted by and experienced by adolescents and outsiders. Set in a small, rundown town, the film follows a young boy called Cao Zi, who along with his two friends Jiu Yi and Hou decides to try and stop his mother’s marriage to local rich businessman Zhu Laosan. Trying various ways to get money, including the theft of a French horn and the failed robbery of a taxi driver, the three team with Zhu’s daughter Xia and fake a kidnapping on the day of the wedding in a last ditch attempt to derail things. “Today My Mother will Get Married” is a fantastic film, and a tough, challenging look at the emergence of a generation of lost adolescents, left largely to their devices while their parents try and earn money, and who have little hope of an economic future themselves. Jin Ye’s experience in documentary film making shines through, as he shoots with a gritty, realistic eye, and the film is never less than utterly convincing, in no small part due to the excellent performances from the young actors. There’s an air of nihilism to the proceedings, the story not only depicting the problems caused and faced by the characters, but also searching for the reasons behind their behaviour. Social concerns balance superbly with narrative tension, and the film works both as commentary and as a drama in the more traditional sense. Though the film has authentic local colour and culture and is very much rooted in modern Chinese issues, there’s a pleasing universality to its cautionary tale, and its subject matter should be recognised by viewers from any country. In the name of disclosure, I must admit that Li Luo’s “Emperor Visits the Hell” is a little difficult for me to review, given that I’m not hugely familiar with the source material, the classic Chinese story of Emperor Li Shimin, his voyage to the underworld and eventual return to life, which comprises three chapters of “Journey to the West”. However, there’s still a great deal to be impressed by here, the film playing out in modern day China, in bold black and white and with settings that put the story into a new and challenging context. Even without knowledge of the original narrative, the film is a lot of fun to watch and ponder over, with its strong script often being quite deliberately at odds with the contemporary locations, in way which is both relevant and blackly humorous. Li Luo’s direction is taut, giving many scenes a disquieting and tense feel, and combined with the bleak, though attractive visuals, this makes it an intriguing watch, if not a particularly accessible one for the sadly uninitiated. Yang Zhengfan’s “Distant” is a very different proposition indeed, and though selected as a feature, it’s arguably more of an artistic experiment. Lasting 88 minutes, it’s made up of 13 separate, static long shot, dialogue-free takes, in which the viewer is challenged to interpret what is happening. While some of the shorts are fairly obvious, others are frankly baffling, and as a result, though what Yang has tried to achieve is admirable enough, it’s very slow and difficult watch that would perhaps have served better as an installation. As the title suggests, the film attempts to confront the viewer with a realisation of their distance from the changes happening to the world as a result of modernity, playing around with ideas of time and space, though still, at nearly an hour and a half, it’s an idea which works better in theory than practice. Zu Songsong’s “One Pillow, One Soul”, is more of a straightforward, typically low key indie feature, which charts the conflict in family brought about by the decision whether or not to move the ancestral tomb after nearby demolition is announced. Set in a rural community, the story sees the family head Changgen trying to convince his brothers to agree, while dealing with a fake feng shui expert and negotiating with a neighbour to allow him to move the graves to his land. The film’s subject matter is interesting, and Zu Songsong uses the premise to explore the ways in which old traditions in rural China are both surviving and adapting to the modern era, superstition and feudal attitudes clashing with the unstoppable tide of so-called progress. At the same time, the troubles which arise within the family and with the other locals presents an unflattering picture of the stubbornness of human nature, most of the characters being driven by self-interest. It’s shot with an authentic and atmospheric feel, Zu showing a great eye for details and achieving a look which is both artistic and almost documentary-like. Unfortunately, undermining this good work is a very slow pace, and a meandering narrative, which makes it hard going at times, especially during a very drawn out middle section. Many scenes could definitely have done with trimming, there being long stretches of dialogue which, though perhaps realistic, are hard to follow and superfluous, distancing the viewer from what could otherwise have been a more involving tale. This is a real shame, as Zu is clearly a talented director, and with “One Pillow, One Soul” being his debut, he’ll hopefully find more focus in his next outing. Set in a small, snowbound rural village, writer director Geng Jun’s “The Hammer and Sickle are Sleeping” is a great example of how to combine social commentary with entertainment. Revolving around three would-be bad guys who try to scratch out a living through various petty crimes, though the story doesn’t really go anywhere, it offers a very effective take on modern morality. The three are likeable despite their obvious flaws and weaknesses, and though their incompetence makes for some great comedy, the film also has a humanistic and vaguely depressing air, its banal savagery being driven by desperation rather than any deep rooted evil. Geng Jun directs with real artistry, making great use of the local scenery, and the fifty two minute film is accomplished and well-made. Even without any English subtitles, Hu Wei’s “Butter Lamp” is still an intelligent and fun short. Set in Tibet, it comprises a static camera shot in which various locals and nomads pose for a photographer in front of a variety of painted backgrounds of famous and iconic locations and landscapes. Amusing and very effective, this device allows Hu to create a playful sense of place and to comment on changing traditions. The reactions of the subjects are fascinating to watch, and thankfully the film never comes across as manipulative or exploitative, but rather as an honest and thoughtful effort, and as a very original and creative means of getting his message across. 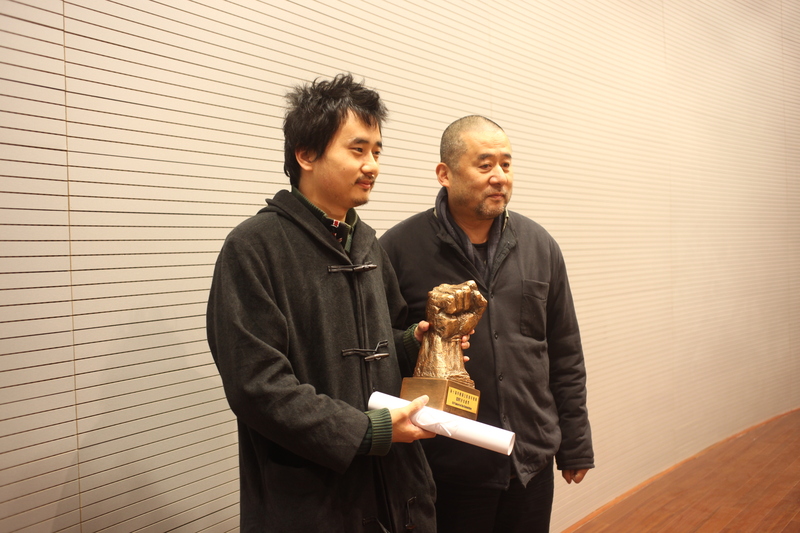 Hong Kong director Zune Kwok’s short “Downstream” was arguably one of the most entertaining of the festival, focusing on a young half-Indian local called Peter Chen working as a delivery driver. After running into another vehicle, he finds himself needing to come up with compensation money fast, and rushes around trying various schemes to raise the funds, resulting in a never ending stream of troubles. Effective and enjoyable both as a piece of social commentary and a comedy of errors, it’s fast moving and tightly directed, Peter making for a likeable protagonist who it’s easy to route for. Dealing with discrimination and life at the lower end of the economic scale, it’s an authentic and intelligent piece, that feels fresh and impresses throughout its 24 minute running time – Zune Kwok is clearly a director to look out for in the future.